Ahhh, a Saturday morning off from work. And the temperature wasn't scorching yet, so a quick little venture downtown this morning to the farmers' market. I haven't been to the downtown one in probably close to three years, as I always go to the Sunset Valley one when I am able to go. And in the summer/hotter months, the one downtown is opening up at 8 am instead of the usual 9. Smart. Plenty of street parking was available just after 8 am, even though construction crews were plenty busy in the neighboring blocks. Got a canary melon at one of the first booths I encountered (I think it was Gunderson Farms), saw my neighbor, and then saw bacon! Peach Creek Farms from Rosanke (near Gonzalez) had a sign board out advertising "Arkansas bacon" and of course that got my attention! Never heard of it, and the guy told me that it's from the pork shoulder; he has Berkshire pork, which are a great heirloom breed. He sells it frozen for $6.50/lb. Got it home and unwrapped it; they are very thick slices, almost a quarter inch. Didn't look closely at the labeling when I was there, but he cures it with salt, sugar, spices, sodium nitrate and MSG. I could live without the MSG, but oh well. Anyway, fried a piece up, and it's good. Certainly more meaty and less fatty, and it's not streaked in fat like your typical belly bacon. More of a ham flavor (go figure). I think it will be good in place of pancetta in some dishes, like lentils. Also came across Cocoa Puro/Kakawa, which I have always been a huge fan of. Tom Pederson's original Kakawa Bean is a cacao bean, coated in white, milk, & dark chocolate & dusted in cocoa powder. He won a Saveur magazine top 100 products recognition a few years back. His newest item is caramelized cacao nibs. Fantastic! I've never loved the plain nibs, either raw or roasted because they are too bitter, though I do love dark chocolate. These were perfect, coated with a thin layer of caramelized sugar, you get that bitter AND sweetness. These will be gone fast. Found some red bell peppers and onions, but was hoping for fresh corn, and didn't see any. Maybe too dry around here for corn to grow. Went looking for breakfast, and came across a booth I had never heard of before -- Rio's Brazilian. The affable guy at the booth (and after looking at their website, figured out he was Ben, one of the owners) explained a bit about their salgadinhos, or savory pastries. They offer a variety of hand-held empananda-like creations, which are served with one of three flavors of their Malagueta sauces (chile, vinegar, oil & spices), a spicy/tangy accompaniment. All of their products are all natural! I got the chicken pastry, technically called the Risoli de Frango com Requejão, and some of the original sauce. They are served warm, and it still was warm and perfect for eating about 10 minutes later when I arrived home. The one I got was loaded with white meat chicken and a homemade cheese; the dough may have been made with tapioca (cassava) flour, though I am not sure and the website doesn't say. It was a little thick, so therefore a touch gummy, but rolled in breadcrumbs and lightly fried to perfection -- no grease! The original sauce is apparently the hottest of the 3 offered, and really added a nice punch to the salgadinho. 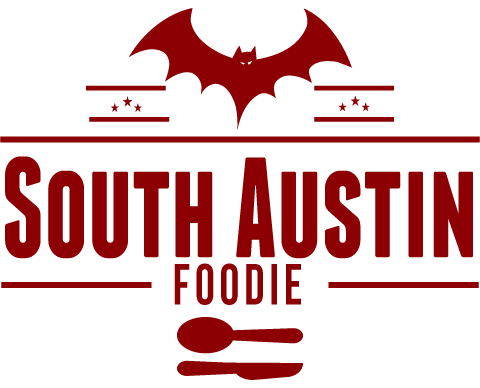 Their website is very informative, listing recipes and other locations where there items can be purchased. I think I will have to seek out more of that sauce, and try some recipes with it! 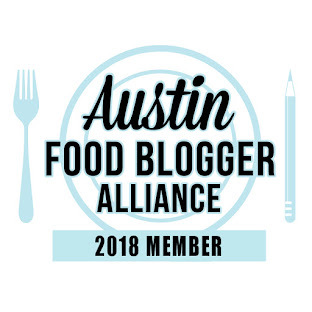 I can't remember how I came across your blog, but I'd like to include it on my blogroll and on a master list of Austin food bloggers that I keep. Would you mind to contact me at abroyles [at] statesman [dot] come?